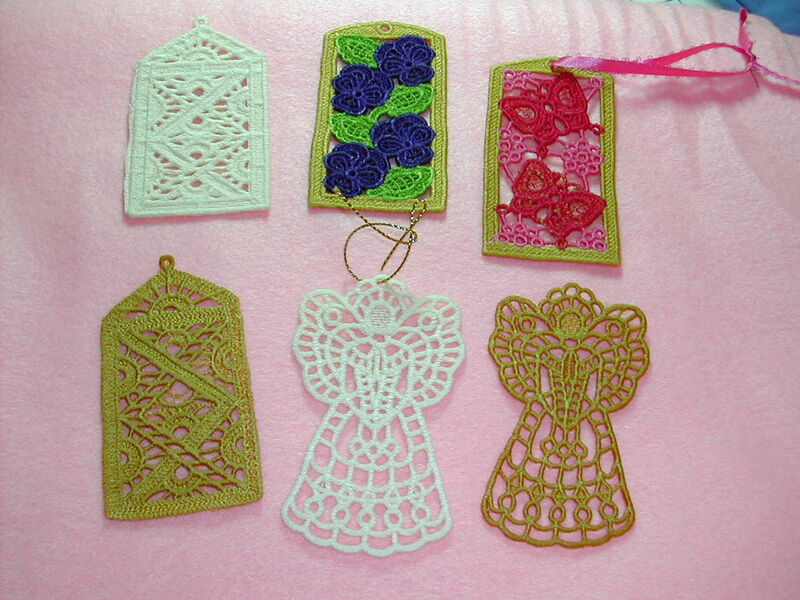 These are some fun ornaments and accessories that I’ve done in prior years. I’m trying to decide on a couple of favorites to concentrate on this year. 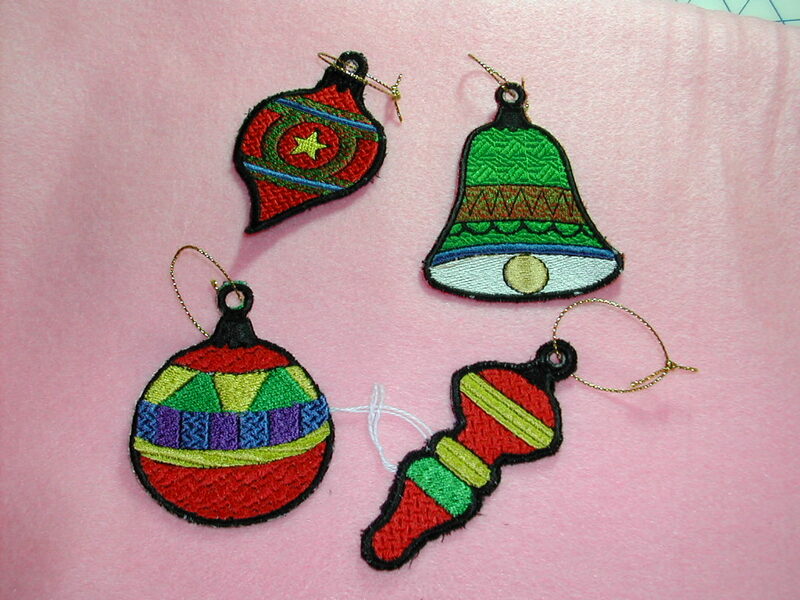 I will keep some for our own decorating and gift or sell the others. 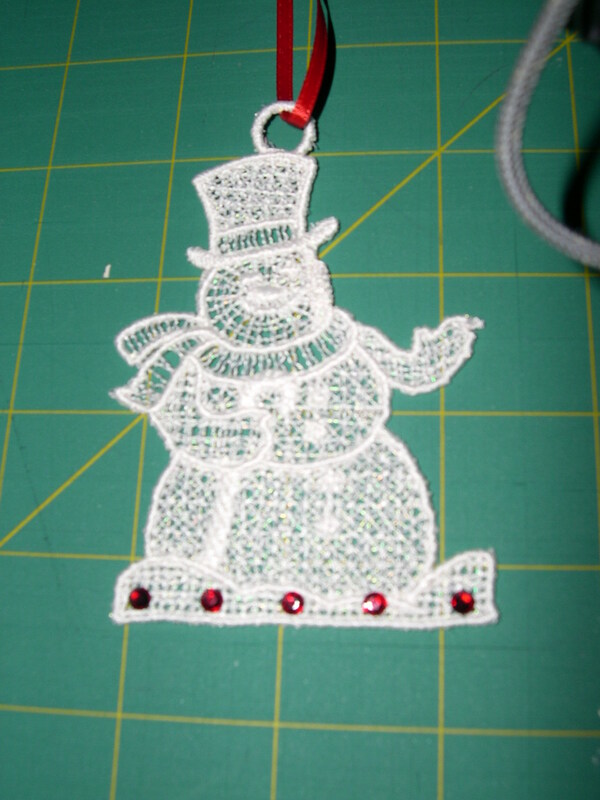 This snowman was a lot of fun to do. 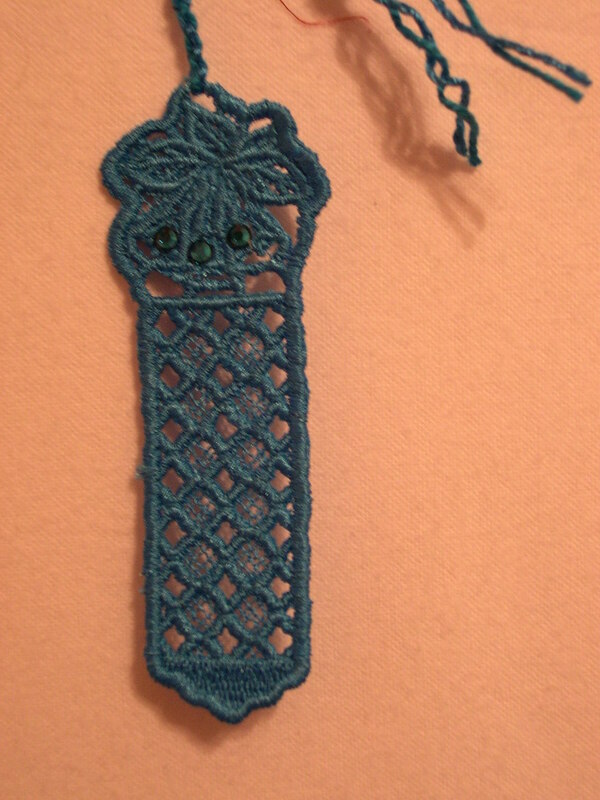 It is free standing lace sewn with a digitized pattern. 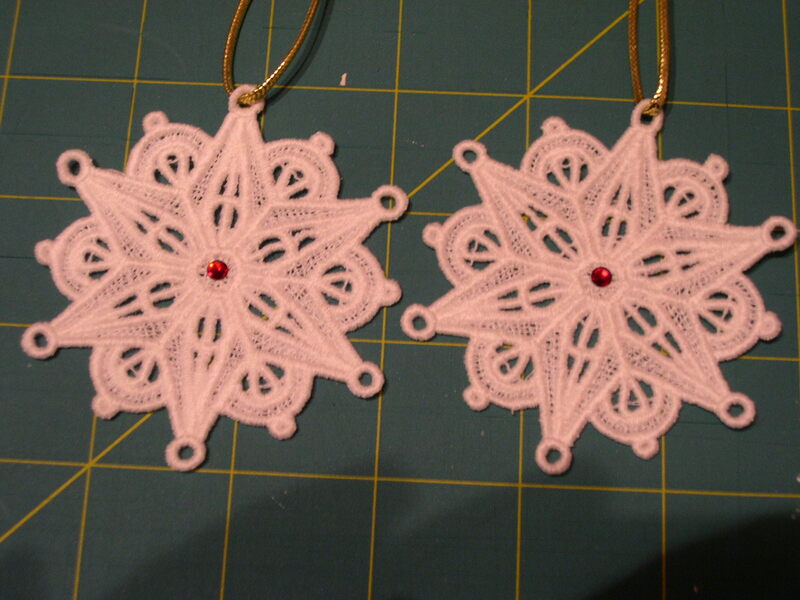 The snowflakes and bookmarks are all pretty much done using the same method. The sewing is done directly on a hooped piece of water soluble stabilizer. After I sew the piece I rinse out the stabilizer and allow it to dry. I don’t wash ALL the stabilizer out; I leave some in to give the ornament added body. Then the real fun begins – to make each ornament unique and add some bling. I do this in a variety of ways; add ornament hangers using ribbons or decorative cords; add sparkle with Swarovski heat set crystals. On occasion I might even add some painted decoration.